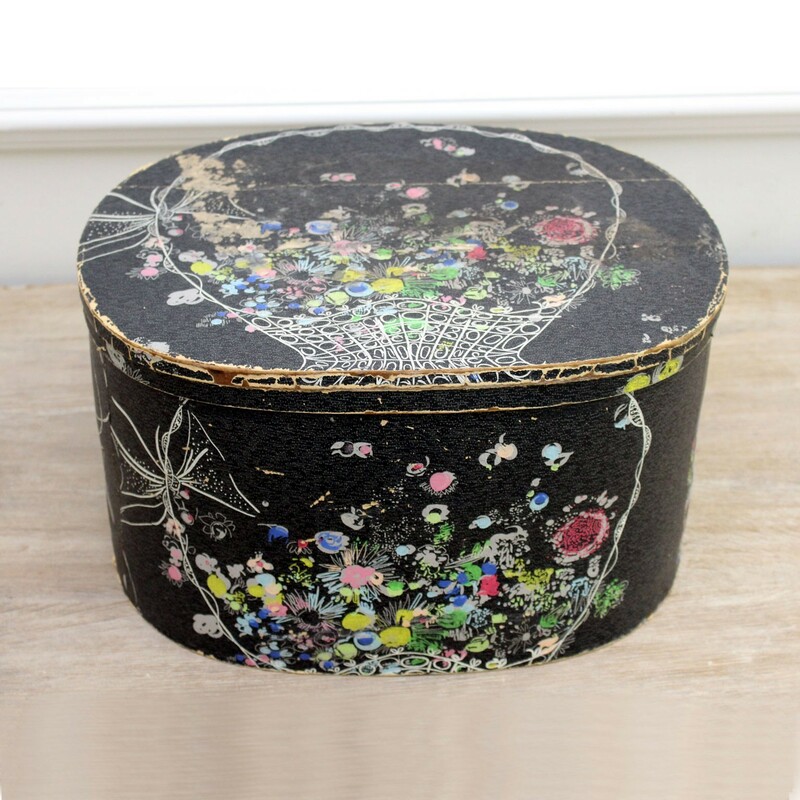 This is an unusually colourful hatbox. 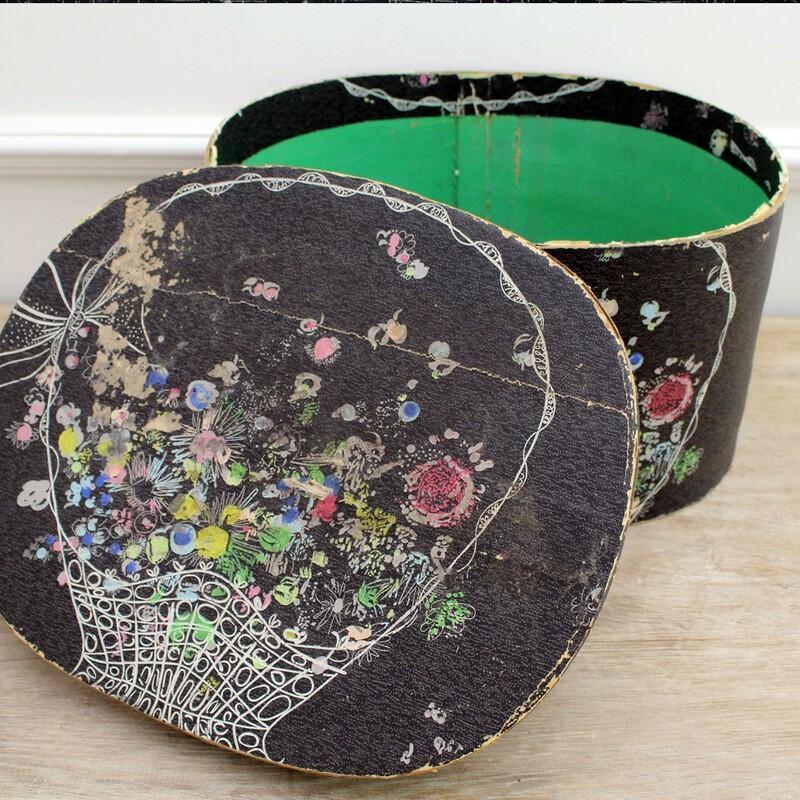 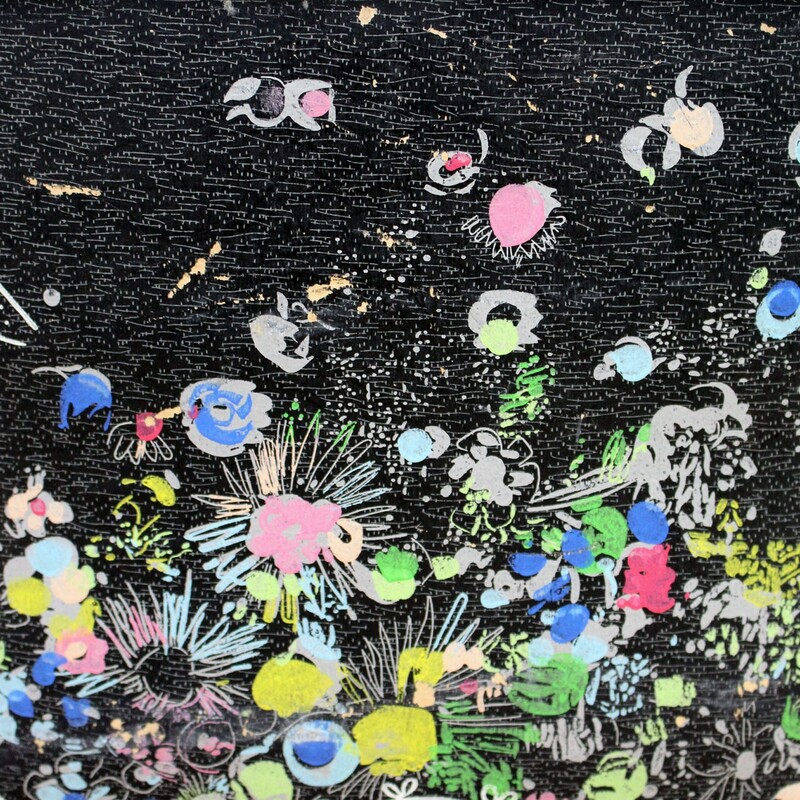 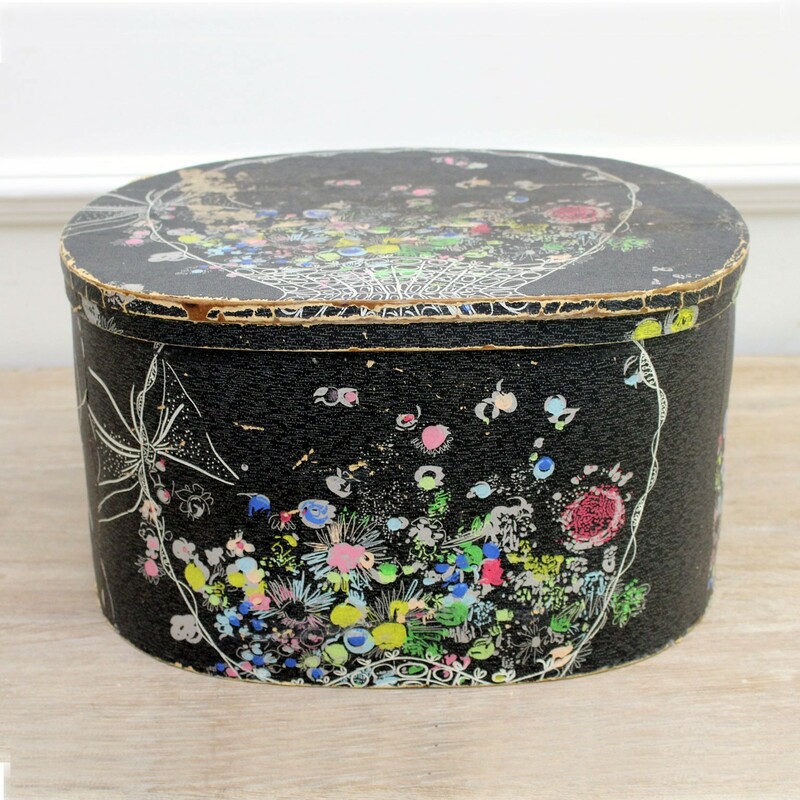 Made from wood covered in black paper decorated with bouquets of brightly coloured flowers. 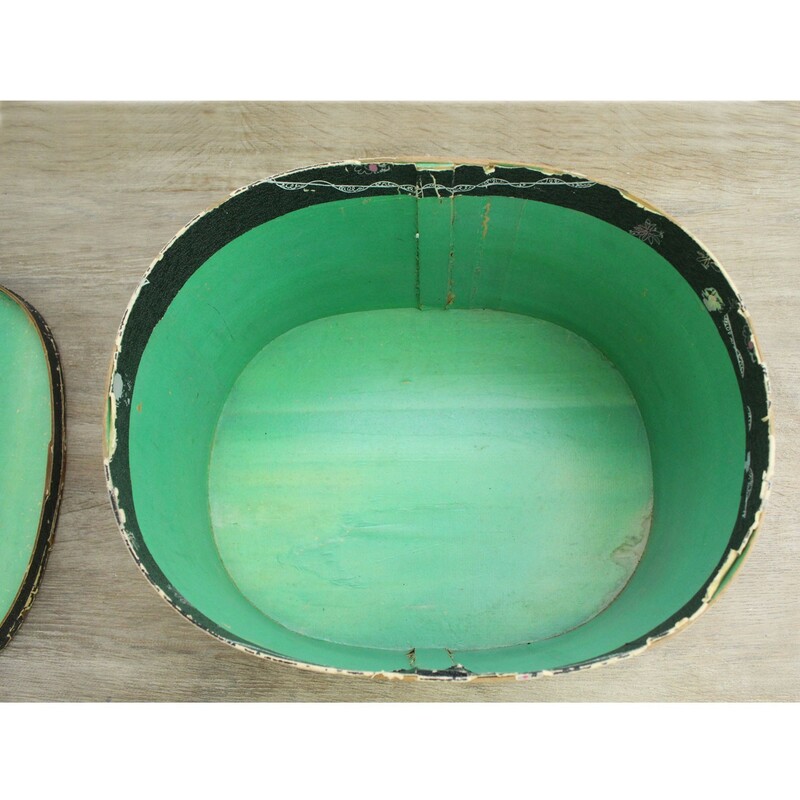 The inside is a bright green colour.